An ancient treasure from the times of the Silk Road and Macro Polo. An ancient treasure from the times of the Silk Road and Macro Polo. Our Silk Comforter provides the most delicate comfort for all seasons. Made of 100% high grade long strand silk, our silk comforter is one of its kind from the ancient time of ¡§Silk Road¡¨ made by hand, the most traditional comfort workmanship. 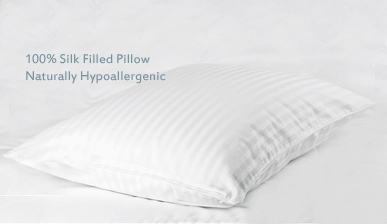 Light weight and elegantly very fine touch feeling, not comparable with any other comforter material filling. Available in summer thickness for sweet dream for Spring to Summer and indoor air conditioning. Temperature rating: about 18 degree Celsius and up indoor temp. Temperature rating: about 10~18 degree Celsius and up indoor temp. Retail packaging, ready for Gift & Own Use! DB ~ Very surprised with the comfort! Delivery at 3% (min apply), available to most city areas of Hong Kong, Kowloon and N. T.; Island areas require special arrangement. Please contact us for more information. Terms & Copyright BeddingShop.com 2000~2018 - 18 years serving HK & Internationally !